Over the last few years Auto Assembly has grown to be an unmissable weekend for any Transformers fan. The last few years have provided some great memories and this years will surly top them all. This years first guest of honour is David Kaye who has played both Optimus Prime and Megatron in various cartoons. The second guest of honour is voice superstar Gregg Berger who was the voice of the original Grimlock and since has built up a portfolio which would make more A lister actors jealous. The third guest of honour is still yet to be confirmed but it looks like it could be Transformers comic legend Geoff Senior. 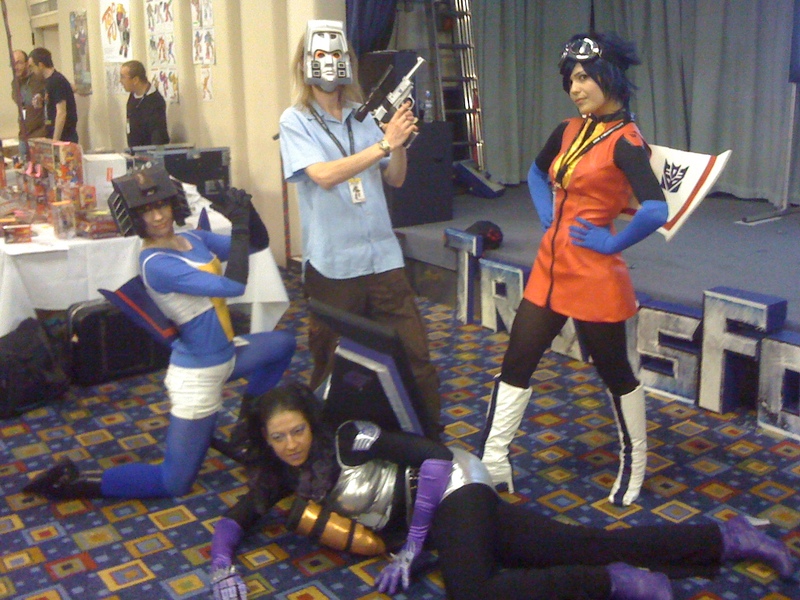 Geoff worked on the original Marvel Transformers comics and created the bounty hunter Death’s Head character. He has also worked on Dr Who, Zoids and Judge Dredd comics over the years. If you are thinking of attending AA2011 you may want to stop by the fund raiser over at thetransformers.net. This year they want to support more than just the bar this year and are funding Geoff Senior’s attendance at AA2011. Auto Assembily 2011 will take place on Friday 12th – Sunday 14th August 2011 at Holiday Inn – Birmingham City Centre.